Linux foundation and EDX are releasing the course called “Introduction to Linux”. The course was paid until now and this is it’s first start as a part of the EDX and it will be totally free. According to the description the course will start in the third quater of the year and will cover basic knowledge over the three main OS Linux families. Indtroduction to Linux’s three biggest OS families. Good knowledge and ability to interact with Linux from both graphical and command line perspective. Various techniques commonly used by Linux devs and admins. The course will be mentored by Jerry Cooperstein – a PhD working in Linux since 1994, developing and delivering training in both kernel and user space. Linux is light weight open source operating system, commonly used in big scientific projects, servers and complicated software architectures. 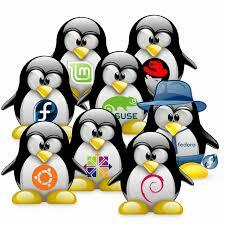 Linux is in the hearth of one of the most popular mobile operating systems – Android. I have a lot of reasons to beleive that Linux will reach even further as one of the main competitors in the game industry since the release of the Steam machine and Steam OS – a fork of the Debian distribution. Good luck guys and thank you for the great intiative. See also Software testing is not ... easy to explain. Last part.